AHS, with the support of the community, preserves and protects four historic buildings, two railroad cars, and two special sites in Andover, NH. From the Old Time Fair on the first Sunday in August to public presentations throughout the year, AHS keeps the community connected to its past. Caring for, cataloging, and periodically displaying large collections of historical items and documents are important parts of AHS’ mission. The Andover Historical Society of Andover, New Hampshire, was established to preserve the history of Andover through the acquisition and conservation of property, artifacts, and stories and to foster an awareness and appreciation for that history within the community. The Society’s facilities are located in the village of Potter Place in the town of Andover, New Hampshire. The Society’s museum buildings are open to visitors during the summer on weekends from Memorial Day to Columbus Day. Hours are 10 AM to 3 PM on Saturdays and 12:30 to 3 PM on Sundays. Memberships and contributions are gratefully received. The Andover Historical Society is a 501(c)(3) non-profit organization. The Andover Historical Society’s facilities are located in the village of Potter Place in the town of Andover, New Hampshire. This village is named for, and contains the homestead and grave site of, Richard Potter (1783-1835), the well-known black magician/ventriloquist of the early 19th century, who traveled and performed successfully throughout America. The Potter Place railroad station, built in 1874, houses a significant portion of the Society’s historical collection. This station is an extremely well-preserved example of Victorian station design and is listed on the National Register of Historic Places. It is located on the Northern Railroad (later the Boston & Maine Railroad) line that ran from Boston to White River Junction in Vermont, and on to Montreal. This station preserves intact the station master’s office and recreates the feeling of a busy railroad depot of the early to mid 20th century. The homestead site and grave of Richard Potter and his wife are located immediately across the tracks from the station. A well-preserved caboose, the Central Vermont CV-4030, built in the early 1900s, is located beside the station and is open for visitors. Adjacent to the station is the Potter Place freight house and a Boston & Maine railroad box car. The freight house, built in the early 1900s, retains almost all of its original features and appearance. It was served by a still-existing spur from the main railroad line. Across the main street from the station is located the J. C. Emons Store and Potter Place Post Office, dating from 1912. The store continued to serve the village until 1958. The post office functioned until 1988. The Society has restored it as an exhibit of a typical turn-of-the-century village store. The original tin ceiling has been rebuilt, and display cabinets and other store fixtures have been put in place. The Post Office area contains the original mailboxes and sorting table. The Society also owns an extremely well-preserved example of a rural one-room school, the Tucker Mountain Schoolhouse. This schoolhouse was built in 1837 to serve a small upland farming community. It is the only schoolhouse still remaining in original condition of the 13 that existed in Andover in the 1860s. It served as a schoolhouse until 1894, but by then the declining student population in its community resulted in its closure. This little red schoolhouse is listed in the National Register of Historic Places. An annual Old Time Fair, organized by the Society, is held on the Society’s grounds in Potter Place the first Sunday of August. This is a townwide Old Home Day event, with activities and fun for all ages. 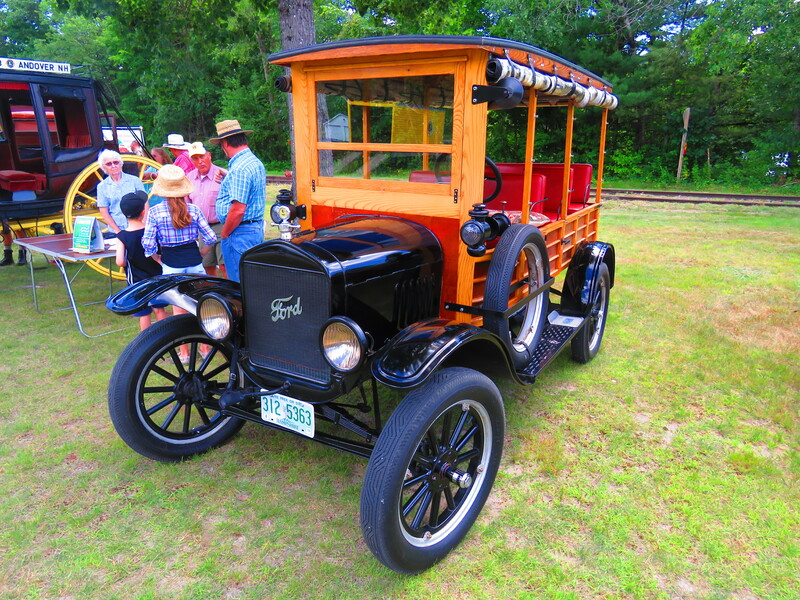 Included are a country auction, an extensive flea market, a craft market, a farmers market, railroad handcar rides, children’s games, antique vehicle exhibits, musical entertainment, and much more. The Andover Historical Society has 135 dues-paying members. We have two public meetings a year with a speaker on a subject that is hopefully timely and of public interest. We publish four newsletters a year that are sent to 300 interested parties announcing meetings and other events of concern to members and friends. We are organized with a 15-member Board of Trustees, a President, Secretary, Treasurer and four departments: Museum Management, Community Relations, Fiscal Management, and Buildings and Grounds with, a chairperson or persons in charge of each department. We have six categories of membership: Individual $10, Family $25, Donor $50, Life member $200 per person, $350 per couple. Membership is just one of the ways in which the community can support the Andover Historical Society. You’ll find more information on our “Support AHS” page. 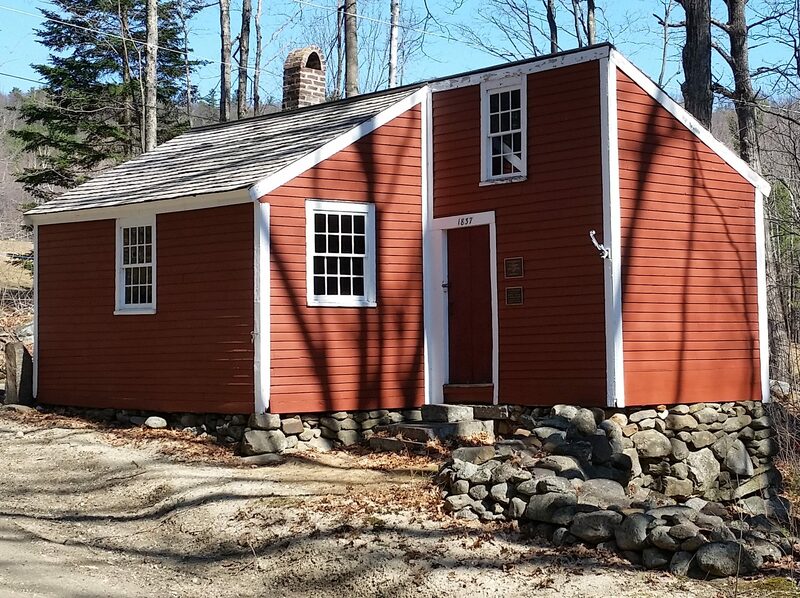 The Society’s other property, the Tucker Mountain Schoolhouse, is located in East Andover, about 8 miles from Potter Place. You’ll find more information and a map here. 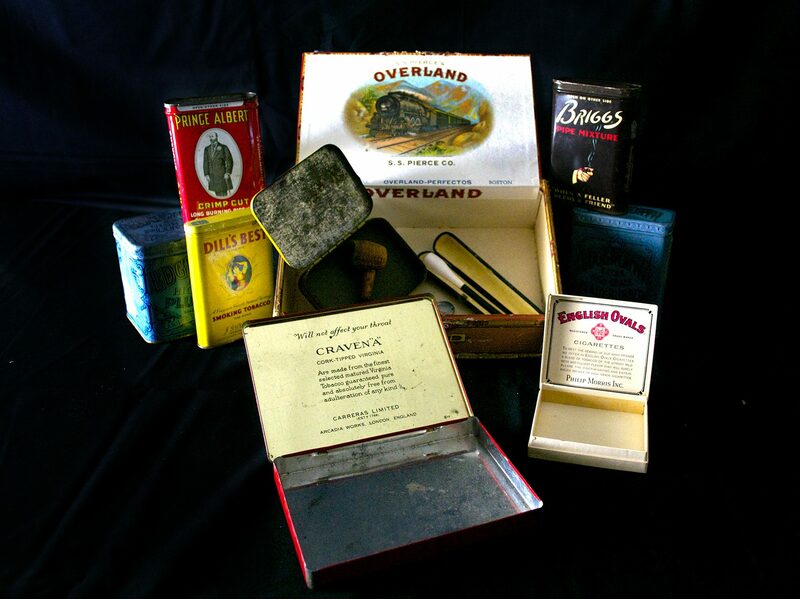 The Andover Historical Society can't carry on its work without your support.